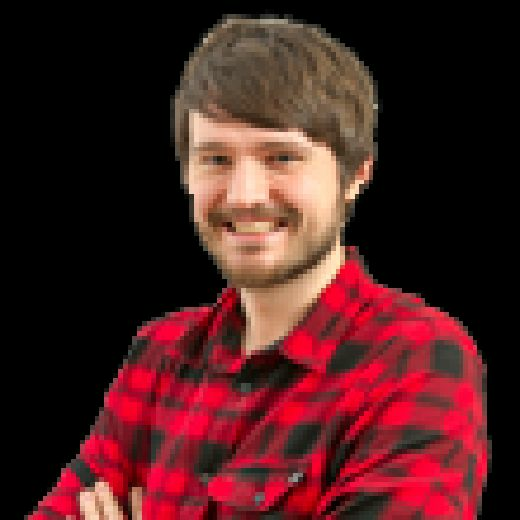 Scottish football mailbag: Would Celtic’s reserves win the league? | How to fix Hearts? | Where’s Rossiter? Craig Fowler answers your questions on Scottish football, including the strength of Celtic’s reserve side, how to fix the issues with the Hearts attack, and what’s happened to the forgotten man of Ibrox. Here’s the team: De Vries; Gamboa, Simunovic, O’Connell, Izaguirre; McGregor, Bitton; Roberts, Christie, Mackay-Steven; Griffiths. I fair chuckled away to myself when writing that down. It’s such a ridiculous good second-string XI. And you’re right not to ask “if” this team would win the league, because they definitely would with Brendan Rodgers in charge. Three of Celtic’s better players from last season were Leigh Griffiths, Patrick Roberts and Nir Bitton. Coming into this season, all three were regarded among the top 10 best players in the league, with Griffiths and Roberts most certainly in the top five. Let’s compare it to Aberdeen’s side: Lewis; Logan, O’Connor, Considine, Shinnie; Jack, McLean; Hayes, Maddison, McGinn; Rooney. It’s good, no doubt about it, but apart from Hayes or McGinn instead of Mackay-Steven, there’s not really a single player there you could say, definitively, would get into the Celtic side, though you could make a strong case for guys like Joe Lewis, Graeme Shinnie and James Maddison. On the other hand, there is no doubt Jozo Simunovic, Patrick Roberts and Leigh Griffiths would start for the Dons. The same argument goes for Rangers. You’d maybe have James Tavernier over Cristian Gamboa, Clint Hill instead of Eoghan O’Connell for added experience (though I can already hear the Celtic fans scoffing), and perhaps Andy Halliday, but that’s it. A title race with Celtic reserves would be a lot closer, but instead of the 30-point advantage they’ll have this season, I say it’d be in the region of five to ten. Well respected, played at a couple of different levels, lots of contacts in the game, coaching experience already, humble enough to start at the bottom and joining a team that’s underachieved in the past few years. It’s got the recipe for success, but there’s no way to say whether he’ll be more Paul Hartley than Scott Booth until he gets going. I’m beginning to think the rest of the team is a massive part of the problem, and whether Hearts have the players for a straight up 4-4-2. Perry Kitchen is the type who likes to sit rather than hare around the park, which is what centre midfielders typically have to do when they’re outmatched by an opponent playing 4-2-3-1 or 3-5-2. Hearts counteract this imbalance by deploying a natural centre midfielder out wide, who will then drift inside. But without a winger in the team - Jamie Walker is more of a No.10 - it means the attack lacks width, a problem exacerbated by a right-footer starting at left-back. All of this would be fine if the strikers were carrying the team, but Conor Sammon looks incredibly low on confidence, while Tony Watt has never been a consistent scorer across his career. There is potential in the Watt-Bjorn Johnsen partnership, as the pair can shift and move into pockets of space around the final third, but even in the first half against St Johnstone, when the team was playing OK, you could see there was a lack of understanding between the two. The partnership would need time to develop, and Neilson doesn’t really have that right now in the eyes of supporters. I’m going to agree with fellow scribbler Joel Sked and call for Neilson to implement a 3-5-2 system. It would push Faycal Rherras and Callum Paterson further up the park. As strong as he is going forward, Rherras takes too many chances defensively, while it would allow Paterson to routinely get closer to the other team’s penalty area, seeing as he’s the most potent goal threat in the Hearts team right now. A back three would allow Neilson to pick three of Hearts’ better players - centre-backs Igor Rossi, Alim Ozturk and John Souttar - in the same side, and give a platform for attack-minded midfielders in Walker and Arnaud Djoum to push forward and support the front two while Kitchen mops up behind them. Regan is permanently looked upon in a negative light by fans, so I wouldn’t say there’s zero clamour for his head. Instead, it’s a continued despondency that’s become the new norm. But you’re right, six years in and there are few signs of Scotland improving at a national level. Of course, when you’re looking at long-term development, you can’t make snap judgments on short-term results. However, the merry-go-round at the Performance Director position should make fans quite uneasy about the organisation at the top. He’s just going to have to be patient. It’s highly doubtful this is the end of Cummings at Easter Road. Boyle is playing well right now and, while he is, there’s no route for Cummings in the first team, as there’s little chance the two can play together. But we always see players make this sort of rapid rise, only for them to come back to earth again, be it through loss of form or injury. The best example of this in recent years was David Clarkson when he signed for Dundee. He scored in his first eight games and won Player of the Month. At the end of the season he wasn’t even offered a new deal. I’m not saying Martin Boyle is going to be a burden to St Mirren supporters in two years time, but let’s wait a little longer before anointing him the new goal king of Easter Road. Absolutely. The message was spot on. It was just the wrong messenger delivering it in the wrong manner. If you’re going to make such an argument then it has to be coherent and not appear like it’s self-serving. Adam’s gripe just smacked of sour grapes, especially when he started bemoaning Lee Wallace’s absence from the squad over recent years. Wallace wasn’t playing in the top flight before this season, so why should he have been starting for Scotland? Especially when you’ve got Andy Robertson and Kieran Tierney. Adam sounded like a Rangers fan opening his mouth and letting his belly rumble. It undermined the rest of his argument. To play devil’s advocate here and stick up for the Scotland boss: the “Strachan’s favourites” thing is a little overplayed. All managers will have types of players or personalities they prefer over others. If these guys are stars who, undoubtedly, are going to help us win football games, then they must play regardless. Scotland don’t have those types of players. We have 30-35 footballers who are all roughly of the seven, eight out of ten standard. The best example is Leigh Griffiths. He’s a great player and he scores regularly, but he does so in the Scottish top flight. If he were playing in the Championship, at the same level as Steven Fletcher and Chris Martin, would he be as impactful? I’d certainly think so, but I can respect Strachan’s side of the argument. The same goes for Charlie Adam when in comparison to Darren Fletcher, James McArthur, James Morrison, Barry Bannan etc. Is it a coincidence that Rossiter hasn’t played since Joey Barton’s epic falling out with Mark Warburton? Has the saga caused Warbs so much angst that he subconsciously disregards Rossiter just because he’s got the same accent as Barton? Or, it could be that Rossiter has struggled with injuries since making his last appearance against Kilmarnock, and Rangers are patiently waiting on him to get back to 100 per cent. He was an injury-prone player when he signed, so this was not unexpected. He sustained the first knock while away on international duty with England before the 5-1 defeat at Celtic Park. He then suffered a recurrence prior to the League Cup semi-final defeat. Even if Rossiter were healthy and raring to go, the defensive midfield position is far down the list of issues with the Ibrox first-team. 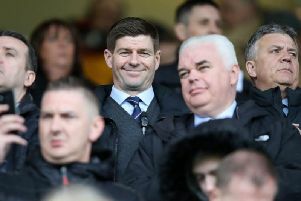 Rangers have improved defensively since shipping five to Celtic and failing to register a clean sheet in any of the four league games prior to their Parkhead embarrassment. It’s further forward where the problems lie. Rossiter’s not the type of player who’s going to make the attack more purposeful and incisive. Yes. It would certainly make the second tier title race very interesting if that were to happen.